Today we take you to the Chinese manufacturer Digiflavor in order to discover a new kit: The Helix. Want to know more about this novelty? Well, let's go for a complete presentation of the beast. 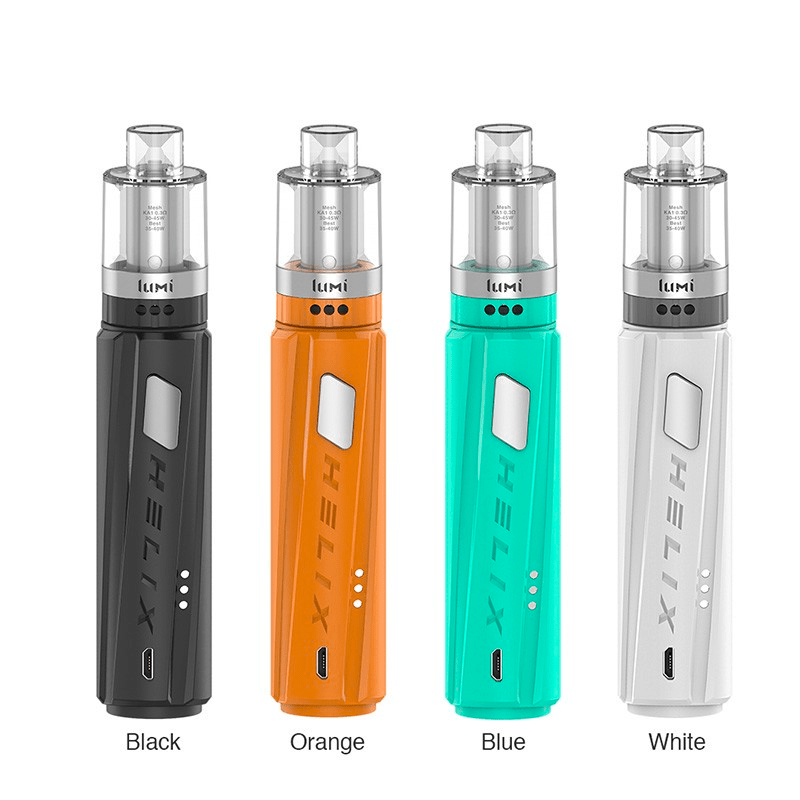 HELIX: ELECTRONIC TUBE AND DISPOSABLE CLEAROMIZER! Present on the market for many years, Digiflavor has always been able to offer to the vapers reliable and quality material. Today, the Chinese manufacturer returns to the front of the stage with a convincing little kit: The Helix. Tube format and entirely designed in acrylonitrile butadiene styrene (ABS), Helix is ​​a simple electronic mod, design and resistant. Very ergonomic its small size will offer a good grip. 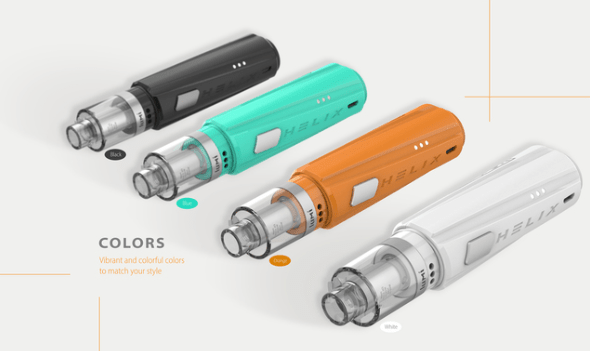 The Helix tubular mod is aesthetically pleasing and will be offered in several colors (black, orange, blue, white). On the main facade there will be a large switch and a simple micro-usb socket for reloading. Operating with a simple battery 18650, this new model will not include Oled screen but still has several modes of use that are characterized by 3 colored leds: In green, the bypass mode, in blue, the power will be 3.4 volts and in red it will be 3.2 volts. To accompany this electronic tube Digiflavor put on the fashion of the moment: a disposable clearomizer! Simple as all, the Lumi is equipped with a tank of a capacity of 4 ml which will fill from the top. Inside you will find a resistance of 0.3 ohm perfect for use in sub-ohm. Like the Vzone Preco, once the resistance no longer works, you change the clearomizer. 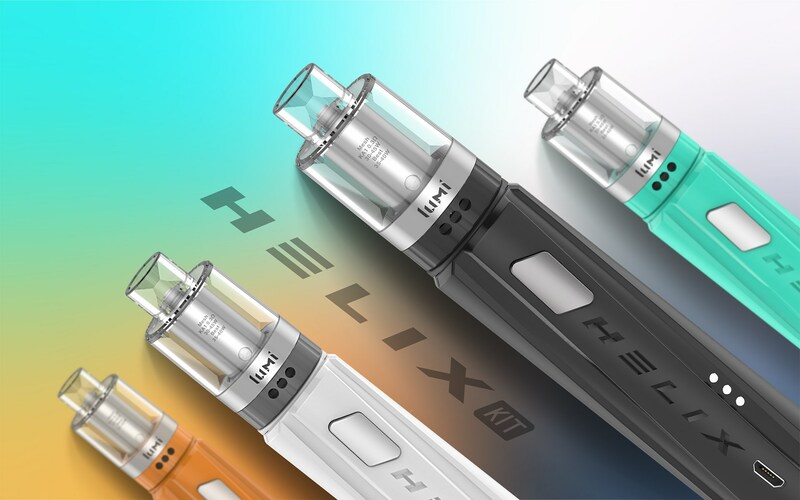 The new kit « Helix »Par Digiflavor will be available soon for 25 Euros about. Following : VAP'NEWS: The e-cigarette news of Wednesday 23 January 2019.